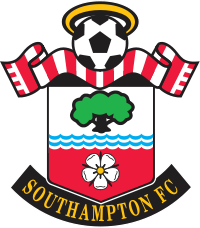 Southampton - Wolverhampton Wanderers F.C. Southampton has not submitted any formation. Wolverhampton Wanderers F.C. has not submitted any formation. Martin Collins passes the ball... and the ball is out. Cross by Alfie Fisher... into the clouds! Martin Collins in a tackling... and looses it! Campbell Yale passes the ball towards the centre... but the opponent catches it. Roger Brick tries to pass the ball to the strikers... but misses! Martin Collins passes the ball towards the centre... but the opponent catches it. Martin Collins in a tackling... and wins it! Jim Brown has an injury and cannot continue playing anymore. Russell Lloyd is shown the yellow card. Jim Brown runs towards his opponent and wins the tackling! Douglas Stuart passes the ball towards the centre... but the opponent catches it. Martin Davis shoots... but missed. Stanley Colthard gets the yellow card after a foul. Stanley Colthard in a tackling... and looses it! Howard Murray passes the ball... and the ball is out. Howard Murray has the ball and sees his opponent in front of him... but he can win the tackling. Albert Williams lets taken away the ball. Cross by Jefferson Wilson... into the clouds! Martin Davis runs towards Jefferson Wilson... and looses the ball. Albert Williams has the ball and sees his opponent in front of him... and looses the tackling. Martin Davis passes the ball... and the ball is out. Howard Murray tries to pass the ball to the strikers... but misses! Martin Davis shoots towards the goal... but into the arms of the goalkeeper! Tooor fur Wolverhampton Wanderers F.C.! Teodoro Danza legt auf Campbell Yale ab, der nur noch einschieben muss. Albert Williams runs towards Stanley Colthard... and looses the ball. Chris Edwards shoots... but missed. Martin Collins shoots... into the sky. Alba Fuginato in a tackling... and wins it! Header by Campbell Yale... that was close. Russell Lloyd passes the ball... and the ball is out. Campbell Yale tries to pass the ball to the strikers... but misses! Cross by Russell Lloyd... into the clouds! Cross by Chris Edwards... into the clouds! Teodoro Danza tries to pass the ball to the strikers... but misses! Cross by James Watt... into the clouds! Graham Johnson tries to pass the ball to the strikers... but misses! Campbell Yale shoots... into the sky. Alfie Fisher shoots... but missed. Chris Edwards passes the ball towards the centre... but the opponent catches it. Albert Williams in a tackling... and looses it! Jefferson Wilson passes the ball towards the centre... but the opponent catches it. Martin Davis in a tackling... and looses it! Jefferson Wilson passes the ball... and the ball is out. Albert Williams passes the ball towards the centre... but the opponent catches it. Header by Martin Collins..... and the ball is in the net! Martin Collins has the ball and sees his opponent in front of him... but he can win the tackling. Douglas Stuart passes the ball... and the ball is out. Roger Brick passes the ball towards the centre... but the opponent catches it. Roger Brick in a tackling... and wins it! Graham Johnson passes the ball... and the ball is out. Alba Fuginato passes the ball... and the ball is out. Header by Jim Brown..... and the ball is in the net! Taylor Carrol tries to pass the ball to the strikers... but misses! 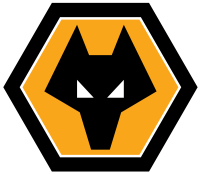 Tooor fur Wolverhampton Wanderers F.C.! Howard Murray legt auf Jim Brown ab, der nur noch einschieben muss. Santiago Lima passes the ball towards the centre... but the opponent catches it. Tooor fur Southampton! Alba Fuginato legt auf James Watt ab, der nur noch einschieben muss. Jim Brown passes the ball... and the ball is out.